Glow is the embodiment of the passion, care and commitment of Sara Lyon; founder, massage therapist, doula and birth educator. Glow started in 2010 as a cozy treatment room in Oakland, California. Since then, Glow has blossomed into a sophisticatedly beautiful space that’s become a highly sought after massage experience and birth support for women nationally. As our family of massage therapists, birth educators and doulas has grown, we’ve been welcomed into the homes and lives of thousands of women, and we look forward to bringing that support to women across the country as we expand. No matter the service or practitioner you choose at Glow, you’ll be cared for impeccably, supported unconditionally and respected without agenda. A SoCal native, Sara graduated from the University of Michigan with a degree in sociology. Sara holds diplomas in orthopedic massage, prenatal massage and Shiatsu. The founder of Glow, Sara brings her passion and rich experience as a doula, childbirth educator and mother to all pre and postnatal women seeking support for the growing needs of their minds and bodies. I gain a rare insight into how we are all ultimately connected in our human experience; birth is one of two undeniable links to the universal picture. Gerri brings over 25 years of massage experience to our clients from her time practicing in Maui and the Bay Area. Her certification and education is just as rich - Gerri is a Certified Massage Therapist & Health Educator from NHI, a Certified Personal Trainer, Yoga Instructor, a certified Doula and holds a specialized certificate in advanced prenatal massage. Gerri offers a combination of massage modalities including Lomi, Shiatsu, Deep Tissue, Sports and Swedish. Her massage style is firm and nurturing. Birth and mommy-hood is something that I won’t experience for myself, so I feel blessed to be around that energy and to nurture new moms and moms to be. Hiking in the Oakland hills, drinking red wine in the sunshine and dancing outdoors whenever possible. Ereene has been practicing Massage and Bodywork since 2007 with a strong interest and connection to women’s health. Early on she chose pre/postnatal massage therapy as her speciality and thrives in the role. Ereene is a Bay Area native, who holds a Bachelor’s Degree from San Francisco State University with studied coursework in anatomy, physiology, and psychology through the lifespan. 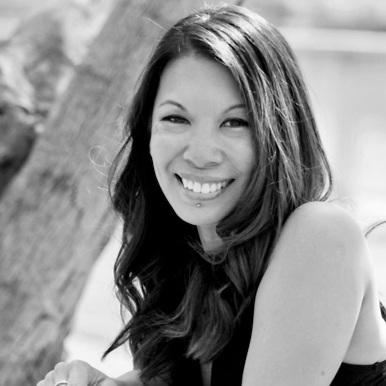 She is an NHI certified therapist with advanced training in deep tissue, neck work, and pre/postnatal massage. She integrates massage modalities from multiple lineages to achieve a detailed and deep massage experience. It is a joy to partner with the women of my community and offer them the support to self-heal and transform so that they are able to fully participate in all the activities that fulfill them. Waking up early to get a hike in at Redwood Regional, doing heated yoga at Leftcoast, catching a movie at Grand Lake Theatre and enjoying creative art/music time with my family. Shoshana was born and raised in Santa Barbara California. 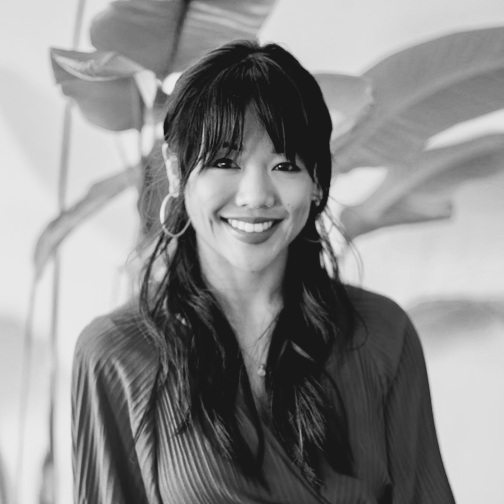 After earning a BA in English from UC Berkeley, her lifelong passion for heath and wellness lead her to the study of bodywork. She is a graduate of the San Francisco School of Massage and incorporates deep tissue, Swedish and trigger point modalities into her sessions. Her style is therapeutic and she loves to create the space to help clients heal and connect. Shoshana has a passion for all types of movement and is a certified yoga teacher. While working in education and childcare, she developed a love of supporting moms and babies which she brings to her prenatal massage practice. I am in awe of the strength of women’s bodies and love helping them feel cared for during such an amazing time. My ideal local day includes drinking coffee in my backyard, being outside either by the ocean or somewhere with a view of it, and spending time with the people I love. After earning her BA in Communications in her native state of Minnesota, Tara moved to California to secure her Massage Therapy Certification from California Healing Arts College. Tara has worked as Certified Massage Therapist for over 10 years, integrating Swedish, Deep Tissue, Oscillation and Reflexology techniques into her practice. Tara, her husband, two sons and adorable dog live in Pleasant Hill, CA. Her massage style is deep and nurturing. I'm a mom who has been through it and I love the excitement that parents have awaiting the arrival of their newest family member. Being one of their many caregivers along the way is so gratifying. Adventures with the family, BBQing and the occasional adult getaway date. Adelle began her study of massage and bodywork in 2009, in Portland Oregon, graduating from East West College of the Healing Arts. As an avid cyclist with a background in martial arts & yoga, she moved to Oakland California in 2013, in search of blue skies and sunshine. Adelle brings her specialization in Therapeutic Massage, Sports Massage and Deep Relaxation to her prenatal clients, in addition to using her combined training in Western and Eastern modalities that include Acupressure and Swedish Massage techniques. Her massage style is deep and nurturing. It helps me feel grounded; it’s important for women to love and support one another! A long bike ride in the Oakland hills, drinking coffee and enjoying my friends. Growing up in a household of birth professionals, Medjula has been surrounded by women’s healthcare her entire life. She has worked with mothers and babies in different capacities, including as a postpartum doula. Medjula is a graduate of the San Francisco School of Massage, and continues to assist them in teaching massage therapy courses. Medjula uses a combination of swedish, trigger point, and deep tissue massage. She is passionate about treating discomfort with kindness and curiosity, and not skipping over the pleasure that still exists alongside it. Her massage style is deep and flowing. I feel so much care and respect for this resilient, powerful, and unique time in a persons life. Working in my garden, finding a beach, river, or lake to swim in, and dancing as much as possible. Kristin's bodywork career began at the Rising Spirit Institute of Natural Health in Atlanta, Georgia in 2007. Her targeted therapeutic style combines Swedish, Deep Tissue, Neuromuscular Therapy (NMT), and Myofascial Cupping to release trigger points in the muscle tissue, dissolve adhesions in the connective (fascia) tissue, and promote a deep sense of relaxation. A Louisiana native, Kristin move to the Bay area to study clinical herbal medicine at Ohlone Center in Berkeley, where she earned her Foundations and Therapeutics certificates. It connects me to a tradition that has been practiced for centuries and across all cultures. I am happy to be both a witness and support to women as they navigate bringing a new life into the world. Waking up on a cool but sunny day with a fresh cup of local coffee, going for a hike in the hills, working on some pottery, grabbing some food at one of the local farmers markets and head home to prepare a feast for my friends. Chelsea Breaux is the child of two massage therapists in southwest Louisiana. Influenced by her upbringing, she graduated from The Louisiana Institute of Massage Therapy in 2013. In the search for West Coast surroundings and experiences, she moved from Louisiana to Seattle in 2015 and is now enjoying the more temperate climate in the bay area. Combining firm Swedish and therapeutic massage techniques, her style would be described as soothing and deliberate. It makes me feel a sense of unity and purpose as I can help alleviate aches while strengthening the mind-body connection for mothers. It challenges me daily to choose the best possible treatment for an individual’s needs. Drawing in the park, receiving a massage, investigating thrift stores, and enjoying a glass of wine while listening to the waves of the ocean.